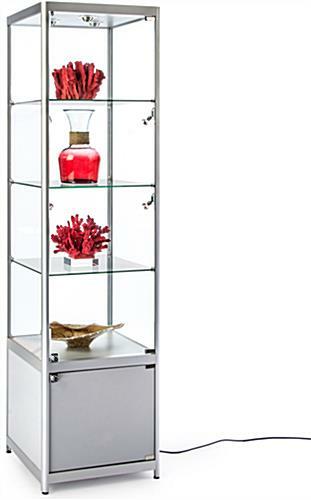 This LED storage tower display is made of durable silver finish aluminum, MDF, and tempered safety glass for maximum security in public areas. 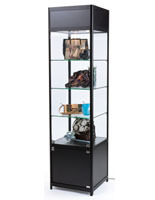 Each 20" wide retail or commercial merchandise fixture has built in lighting, three fixed shelves, a locking swing-open access door, and lockable enclosed base cabinet. 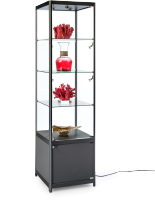 This 78" tall storage tower display offers seven energy efficient internal lights to illuminate contents: three toplights and four sidelights. 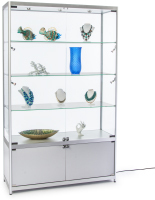 The upper cabinet has 3 green edge shelves that are accessed via the hinged key-locking door, making it a great choice for showcasing retail merchandise, antiques, product samples, or collectibles. 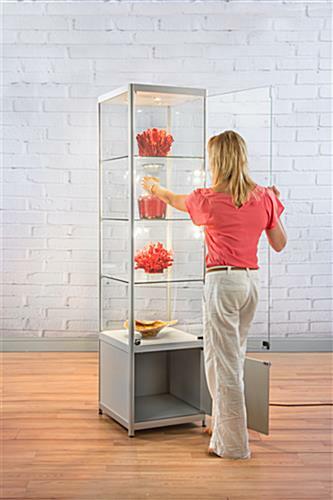 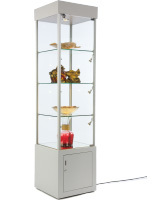 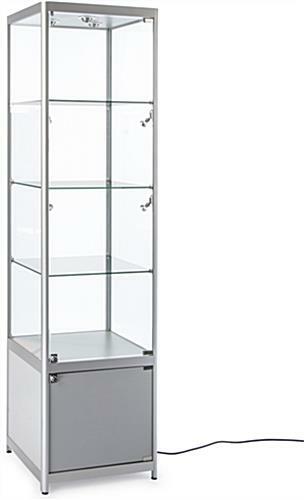 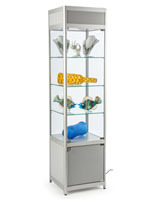 This silver framed safety glass tower display with built in energy efficient lighting has a roomy, secure base cabinet with lock to hold merchandise, accessories, or equipment. 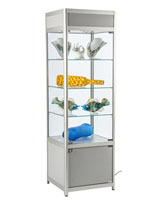 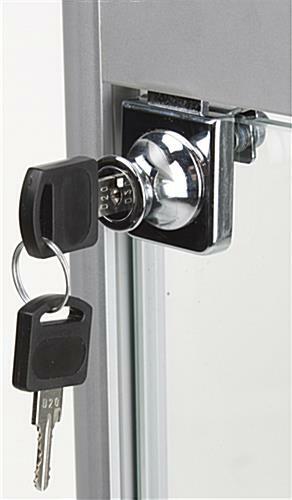 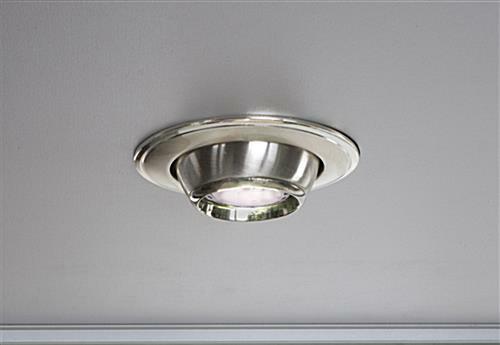 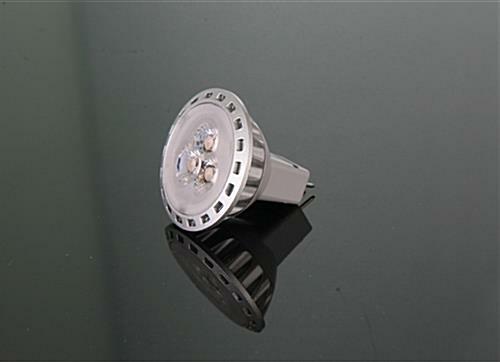 This high visibility fixture is ideal for use in retail, commercial, professional, and educational environments.